We are top rated Auto Wreckers in Edmonton, with 50+ years in business being locally owned and operated, you know we got you covered. 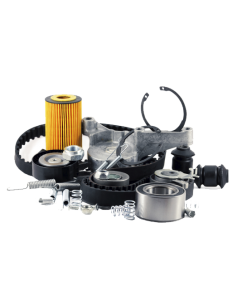 We have a massive selection of auto parts available for pickup or delivery. We also buy trucks, cars, SUVs and just about any other vehicle regardless of if it runs. If you are interested in getting rid of your old vehicle give us a call for a quote! We have hundreds of thousands of parts in stock and a massive storage facility. Use our handy parts search tool to find the parts you need. Need Salvage Vehicle Auto parts? We part out entire vehicles. We carry all models and years, even some classic cars waiting to be rebuilt. If you are looking for something particular give us a shout at (780) 476-1066. We keep most of our vehicles at our storage facility just outside of Edmonton, many of which we list here. If you want to inquire about a particular vehicle, contact us here. Want to sell use your vehicle? We would be happy to give you a quote! we buy vehicles running or not. We always pay fairly for salvaged vehicles, if you want to sell us your vehicle give us a shout!